Our goal is to connect people with the best local experts. We scored plumbers on more than 25 variables across five categories, and analysed the results to give you a hand-picked list of the best plumbers in Minneapolis, MN. Founded in 1981, A Aart’s Tim’s Speedy Plumbing installs and repairs appliances, baths, showers, sinks, toilets, urinals, drains, sewer lines, and gas water heaters. The company serves Twin Cities, Fargo, and Moorhead. They are accredited by the Better Business Bureau and is a member of the Plumbing Heating Cooling Contractors Association. Founded in 1985, Air Mechanical Inc. provides repair for plumbing, geothermal heating, and air conditioning systems. The company offers 24-hour emergency services and serves the Minneapolis, MN metro area. Air Mechanical Inc. is certified by NATE and the EPA. All Ways Drains, Ltd. is a plumbing company that has been in business for 15 years. The company provides plumbing services for residential and commercial properties. Services include repairing leaky faucets, unclogging drains and installing sump pumps. All Ways Drains, Ltd. has 24-hour service in the Minneapolis and St. Paul metro areas. Aquarius Water Conditioning is a plumbing and air conditioning company that serves Bemidji, Little Canada, and Brainerd in Minnesota and Eau Clair, Siren, and Hayward in Wisconsin. The company repairs, sinks, toilets, gas vents, water lines, and commercial water systems. Aquarius Water Conditioning received the 2015 Best Places To Work Award from the Minneapolis/St. Paul Business Journal. Barnes Plumbing Co. serves the Twin Cities and the nearby areas in Minnesota. Technicians are licensed, bonded, and insured. Services include general plumbing repairs, 2” drain cleaning, water heater installation, plumbing for new construction, RPZ testing, and more. Big Dave’s Plumbing serves St. Paul, Minnesota and surrounding areas. The team repairs frozen pipes, sinks, floor drains, laundry systems, tubs, and installs plumbing fixtures. Big Dave’s Plumbing is an insured, licensed, and bonded business. Established in 1938, Blaylock Plumbing Co. serves the Minneapolis, Minnesota area. The company specializes in residential and commercial plumbing repairs for kitchen, bath, and sewers and water heater installation. They belong to the Plumbing Heating Cooling Contractors Association and are 2011 winners of the Readers’ Choice Award for Best Plumbing Company. Established in 1993, Bonfe’s Plumbing Heating & Air Services, provides heating, air conditioning, appliance, and electrical repair and replacement. Services are available 24/7 in the Minneapolis, Minnesota metro area. D C Annis Sewer serves Minneapolis, St. Paul, and the surrounding areas. For over 40 years, the plumber has repaired interior and exterior frozen faucets, tubs, sinks, floor drains, toilets, urinals, and more. For more than 35 years, Dean’s Professional Plumbing, Heating, Air, & Drains has served the Minneapolis, Minnesota metro area. Their technicians are NATE certified. They repair and maintain plumbing, heating, air, and drain systems. The company is accredited by the Better Business Bureau and are members of the Plumbing Heating Cooling Contractors Association. Since 1986, Hessian Plumbing has served customers in Minneapolis and St. Paul, Minnesota. They offer plumbing services for residential and commercial properties. Services include repairing and replacing toilets, indoor and outdoor faucets, water heaters, and sump pumps. Huber Plumbing Co, LLC provides service for the St. Paul and Minneapolis metro areas. The company repairs water heaters, garbage disposals, drains, valves, and offers re-piping and kitchen remodels. They are fully licensed. Lange’s Plumbing & Heating serves the Eden Prairie, Chaska, Shakopee, Belle Plain, and Prior Lake areas in Minnesota. The company specializes in residential and commercial plumbing, HVAC repair, installation, and maintenance. Founded in 1986, Legend Services Inc. serves the Minneapolis, Minnesota metro area. They repair and install residential and commercial plumbing, heating, and cooling systems. The company is accredited by the Better Business Bureau. Founded in 1923, Levahn Brothers is a plumbing and hardware company that serves Maple Grove, Plymouth, and Minneapolis. They offer plumbing services for residential and commercial properties. The company is a member of PHCC and BNI. They were awarded Angie’s List's "Super Service Award" in 2013, The Readers’ Choice Award from Osseo/Maple Grove Press, and Plymouth Sun Times Best Hardware and Home Improvement Award in 2011, 2012, and 2013. My Plumber Inc. is a plumbing company with 15 years of experience. Services include plumbing repair for water heaters, baths, toilets, gas lines, sump pumps, and water softeners. The company serves the Twin Cities in Minnesota. For 65 years, Neighborhood Plumbing, Heating, & Air Conditioning has served the Minneapolis, Minneapolis metro area. With 24-hour emergency service, the company repairs and installs plumbing, heating, and air conditioning systems. Norblom Plumbing Company is a full-service plumber that offers replacement and repair maintenance in Minneapolis and St. Paul. The company repairs toilets, sinks, faucets, leaky pipes, drains, and waste systems. They also install hot water heaters, gas washers and dryers, and gas ranges. Established in 1988, Plumb Right serves the Twin Cities. They repair and maintain water heaters, water filtration systems, sewers, and drains. The company won the 2015-2016 Torch Awards for Ethics. 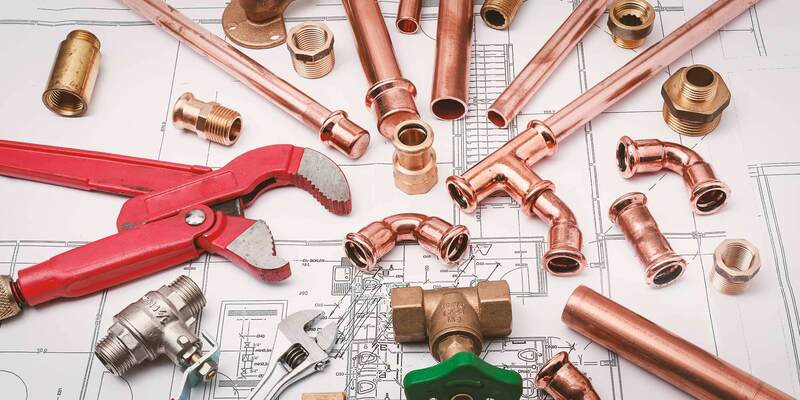 For more than 100 years, Rascher Plumbing & Heating has provided heating and plumbing services. They repair, install, and maintain water heaters, sump pumps, drains, water filtration systems, and fixtures. They are licensed, bonded, and serve St. Paul and the surrounding areas. Steves Professional Sewer & Drain Service repairs and maintains drains and water lines. The company serves St. Paul and Minneapolis. They are accredited by the Better Business Bureau. TJK Plumbing is an award-winning residential plumbing company serving Minneapolis and the surrounding areas. The company offers repair and replacement of garbage disposals, sump pumps, kitchen faucets, shut off valves, and much more. The company is accredited by the Better Business Bureau and has memberships with North Hennepin Chamber of Congress and the National Association of the Remodeling Industry. Uptown Plumbing, Heating & Cooling provides repair and maintenance services for heating, plumbing, air conditioning, and electrical systems. The company serves Ramsey, Hennepin, and Dakota Counties in Minnesota. Uptown Plumbing received the 2015 Top Work Places Award from the Star Tribune and Angie’s List's Super Service Award in 2014. Founded in 1972, Weld & Sons Plumbing performs services in the Plymouth, Minnesota area. The company handles drain cleaning, pipe upgrades, faucets and toilet repair, and RPZ testing. They are recipients of Plymouth Magazine's Best Plumber Award of 2013.